e field and new results being generated, the awareness of methodological problems related to the research has been increasing. A strong need has arisen for cooperation and mutual inspiration across various disciplines, as well as for a broad discussion of the nature of relations between various mechanisms of evidence evaluation. 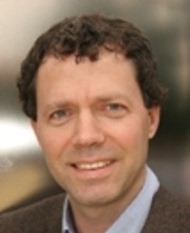 Furthermore, the rapid development of sophisticated machine learning and data mining mechanisms has paved a new way for identifying new kinds of evidence and re-evaluating the existing ones, opening up a new space for an in-depth discussion of the mechanisms of evaluation of evidence and their relations to other ways of representation of evidential arguments. The models, theories and approaches need to be compared and discussed, and perhaps in certain cases – confronted. One of the most important topics is the evaluation of the existing approaches and their applicability in legal practice and in forensic science. The paramount topic of the workshop aiming to integrate different models, approaches and issues is argumentation: what is the structure of arguments used to persuade the relevant actors to undertake certain decisions in the process of evidence and proof, how are these arguments justified and how should they be investigated. The extended abstracts should be submitted by 15 July 2018 (for more information, see below). 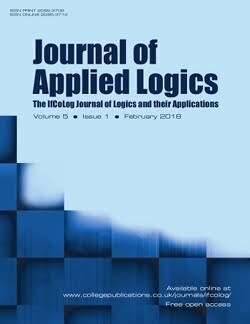 The peer-reviewed full versions of papers from the workshop will be published as a special issue of the Journal of Applied Logics - IfCoLoG Journal of Logics and their Applications. MET-ARG takes place in Warsaw at the Institute for Philosophy & Sociology at the Polish Academy of Sciences (IFiS PAN). Abstract: We present a high-level declarative programming language for representing (legal) argumentation schemes, where schemes represented in this language can be easily validated by domain experts, such as lawyers, and serve as executable specifications for automatically constructing arguments, when applied to a set of assumptions. Since argumentation schemes are defeasible inference rules, both premises and conclusions of schemes can be second-order schema variables, i.e. without a fixed predicate symbol. The language is based on Constraint Handling Rules (CHR), a declarative, Turing complete, forwards-chaining, rule-based programming language introduced by Thom Frühwirth in 1991. The language has been validated by using it to represent twenty representative argumentation schemes. We conclude with a discussion about whether the language is expressive enough to reconstruct the argumentation schemes which have been studied in the field of AI and Law, as reported by Prakken and Sartor (2015). 15:00 - 15:30 Szymon Mazurkiewicz: Logical analysis in constitutional law - why the “judgment paradox” from the judgment of 09.03.2016 r. of the Polish Constitutional Tribunal (K 47/15) is not based on the Liar’s paradox? Submissions will be reviewed by members of the programme committee. Notification of acceptance will be sent by 27 July 2018. At least one author of each accepted abstract must register for the conference. The peer-reviewed full versions of papers will be published as a post-conference proceedings. In order to register to 2nd MET-ARG workshop, you need to complete a form and pay a fee. The registration link and payment details can be accessed below (in case of problems, please make sure you are using the latest version of your browser). In case, you are planning to participate in more than one WAW event, we offer discounts in early registration fee – see here for the available packages. The package can be selected through drop down list in a registration form. The MET-ARG fees include conference materials, lunch and coffee breaks. If you only register to a workshop and would like to attend the Gala Dinner, you have an option to check a box in the registration form to add the Gala Dinner ticket to your registration fee. The gala dinner will take place on Sat 15th Sept. The peer-reviewed full versions of papers from the workshop will be published as a special issue of the Journal of Applied Logics - IfCoLoG Journal of Logics and their Applications. More information will be available soon.